A classic wool jacket for all kinds of outdoor use for men. What´s better than zipping up a good old wool jacket before you enter the outdoors? 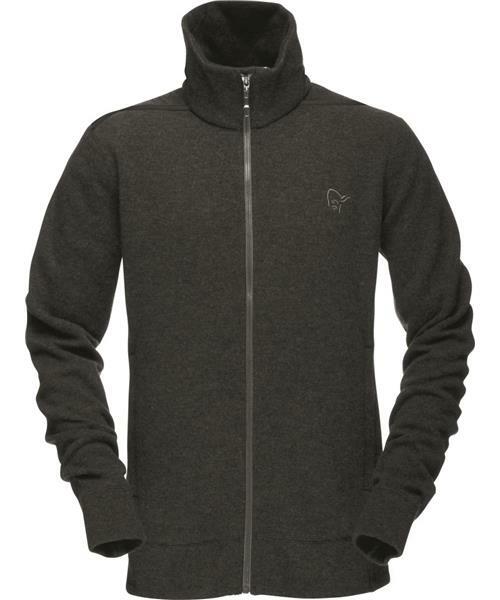 The fabric is a perfect mix of wool and polyester which combines breathability and durability in one. The wool fibers provide great temperature regulation while the polyester offers quick-dry functionality and durability. This is a cozy and insulating piece with a high collar, cuffs and hand warming pockets. This product is regular fit.